Tired of swapping out parts? Build the lower you actually want. This premium lower parts kit features our AT3 Enhanced Nickel Teflon Trigger, giving you the quality trigger your rifle deserves, and the flexibility to tailor your lower to your preference. 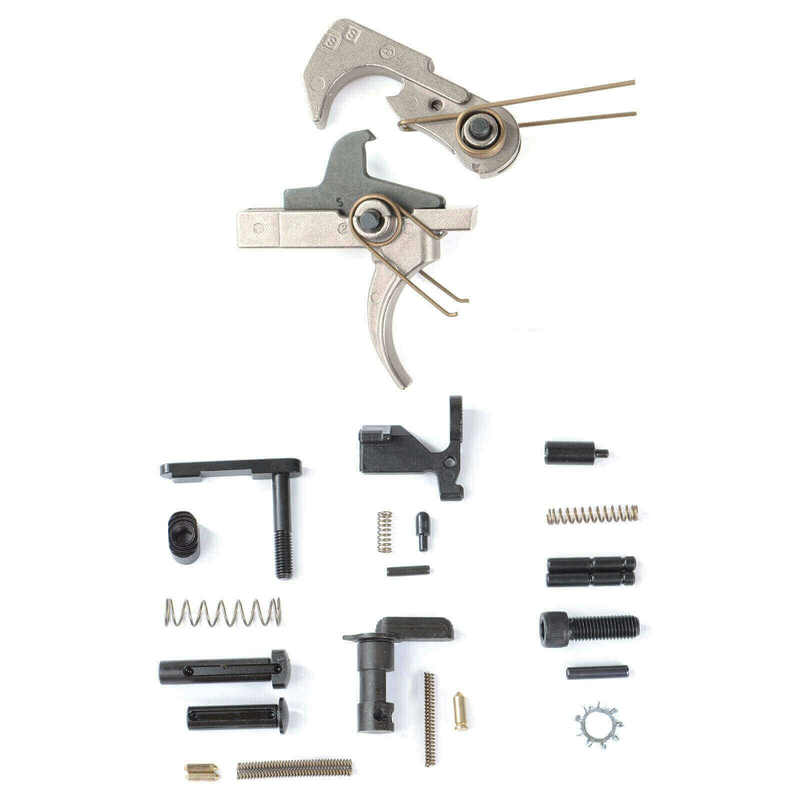 This kit is great for any AR builder who wants quality components without breaking the bank, and pairing the pistol grip and trigger guard of your choice with our Nickel Teflon Trigger Assembly. The trigger has a smooth pull and clean break unlike a standard trigger, which can be gritty and detract from accuracy. AT3 tactical offers good products at great prices. The customer service I received was top notch. They were very helpful and knowledgeable when it came to the products. I am very pleased! I have purchased several of the AT3 single stage triggers w/ and w/o the LPK and have always had great results. Quality made parts, smooth trigger, perfect for my setup. Quick response, shipment and delivery. Will not be my last set from AT3. Keep up the good work! It seems most part kits are pretty much the same but this one seems a lot better then others I have bought in the past. A good quality trigger to be precise. Looks good. No knicks or scratches all necessary parts needed to install and everything fit good. Thanks for sharing your feedback, Jim. We're glad you're satisfied with your purchase. Cheers!